It’s a statement that I heard just last week. I know enough about this infamous little sign, but I know I need to explore this little symbol a little further. I may have to take regular breaks during this post, “Hashtags” reminds me of “Hashbrowns” and who doesn’t love “Hashbrowns”? The best place to start is always at the beginning, even if you have the basic information down. I started here with The beginners guide to hashtags. I think to many the hashtag seems to be little more than the Jimmy Fallon and Justin Timberlake skit. If you haven’t seen it, take a look. Funny! So the question remains, does the hashtag have a purpose, so is it just #abigjoke? The purpose of the hashtag is to essentially group information on a subject into a searchable link. However with hashtags having comical names, I think it has becoming a little confusing to those still learning the social media ropes. I admit that social media overall is a bit of a blur to most, but it’s a growing trend and that seems unlikely to be a passing phase. In my recent meeting, I asked for everyone in the room for their twitter handles for an event live tweet. The response I received with a room of blank faces. I think technology is moving faster than I think the average person can keep up and has completely changed the marketing world. When I started in school, social media was non-existent and now it’s the most widely used tool. #imgettingold. It’s regularly used, daily, hourly by our clients and is such a powerful tool. Learning to control this changing environment comes with assessing and reassessing how we use the tool. The power of communication with others is ensuring that there is strength in posting the same hashtag. The more people on the same page, the more powerful the communications strategy. For example, if you are launching a new product like call ACMEWidget and you create the hashtag, you want to encourage others to use it too. Keep in mind the “@” in twitter will tweet (post) directly on a twitter page and the hashtag “#” will not and just helps the searchability of the subject. In the past it’s been heavily associated with twitter, but now also includes Facebook, Instagram Google+, Tumblr and Pinterest. 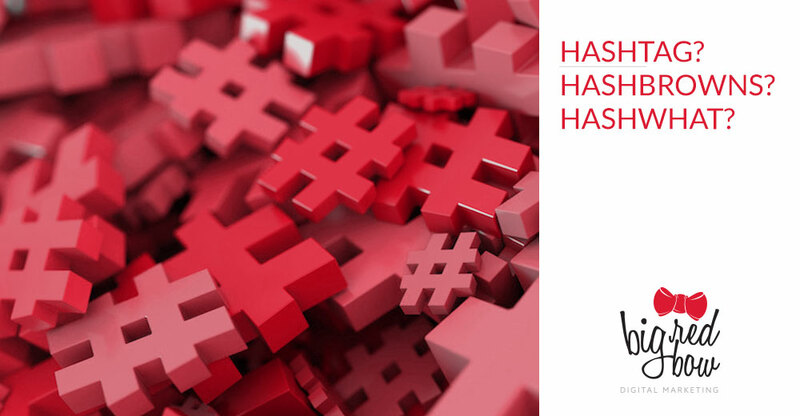 The hash tag is taking the social media world by storm and so it’s time to harness the power of the hashtag.